Scientist of Mechanics and Mathematics; A native of Wuxi. 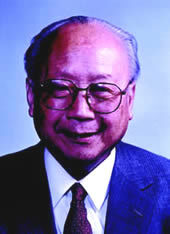 Jiangsu Province; Graduated from Tsinghua University in 1935; Received phD Degree in Mathematics from Toronto University, Canada in 1942; Professor of shanghai University. Returned to China from abroad in 1945; One of the main founders of IMCAS and Deputy Director of IMCAS from 1956 to May 1957; Elected as Member (Academician) of Chinese Academy of Sciences in 1955 and Member of Polish Academy of Sciences in 1955.